At 4 Paws Grooming and Doggie Daycare, we know how important your pets are to you! That’s why when you visit our salon, you’re treated to the very best in state-of-the-art technology designed to provide your pet with the very best in grooming services. Whether you’re coming in for a full groom or a quick bath and brush, 4 Paws’ professional groomers will greet you at the door and discuss a plan that’s designed specifically for your four-legged family member! 4 Paws’ also has Doggie Daycare. Our doggie daycare is designed to give your pet the attention they deserve in those times when you just can’t bear to leave them home alone! This is the best place ever for your fur babies!! They care about each fur baby that comes to see them!! I have a dog that has allergies and they know every time to use the correct products for him. They are willing to work with you and customer service is the best I’ve seen!! I even got a call from the owner during a March 2019 blizzard to see if we wanted to change time for grooming because they were worried about our safety to get there!! Now that’s family!! My boys love it here at 4 Paws!! Thank you 4 Paws. You are greatly appreciated!! My Gypsy loves to go to daycare and has lots of friends to play with. Bonnie and Jeff are great people and are very good with the dogs. Truly the best place. We had the best experience today with them, when our previous groomer couldn’t make it work for us, these guys fit us in and treated our Buddy dog like a King! I would recommend them to anyone. We have found our new groomer and we couldn’t be more excited! Thanks for welcoming us to your family! They took great care with my 3 mini Schnauzers and were able to beautify them after a long journey. So kind and accommodating! Always a wonderful experience! Thank you Kristy. Miah looks great! It is a wonderful place, the dogs enjoy their time there. I took my Standard poo and husky here. Both looked amazing. Wonderful people!!! Fairly priced. Recommend them 100 times over! Great job on my 2 fur babies. I don’t have to worry about then keeping them in a cage all day. They call when they are done, usually couple hours. Which means less stress on by doggies. Love them. We love 4 paws! They do a great job with our big German Shepherd and Australian Shepherd. Sandy has taken care of both of their grooming needs for a couple years. We wouldn’t go elsewhere! Thanks 4 Paws! p.s. we love the new space! Ashli is always patient with my dog & makes her feel comfortable. The shop is always bright and clean and my dog is happy when I pick her up. I would recommend 4 Paws without hesitation! The staff at 4paws have been absolutely amazing to my personal dogs and many of my family and friends as well. I highly recommend them for all of your dogs grooming needs. They treat customers dogs as if they where there own. I will never take my dogs anywhere else as long as they are alive. Ashley and Sandy are awesome!! Maximus gets completely nuts when he figures out that’s where we are going. Nothing better than leaving a happy dog to be groomed and picking up a happy dog! He absolutely loves it there and that’s good enough for me. My 4 month old standard poodle pup was a mess after going potty in her kennel, and then getting car sick on the way to 4 Paws. Sandy cleaned her up and gave her the best trim ever! She was beautiful when I picked her up, and Sandy was so wonderful with her. Will definitely bring her back to this facility for her next grooming. Our lab baby just loves loves being at 4 paws. What a beautiful and amazing place to take your fur baby. But that's not just the best part, the staff and owners are simply awesome. So professional, very attentive, so kind, and oh so caring. I have been nothing short of impressed every time we go, and my lab simply smiles when we walk in and his heart is so full when he leaves! Hands down the best place! For grooming and for doggy daycare I can say enough great things! Thank you for all you do for our fur baby. I love this place so much! Ashlee's the best and her daycare program is top notch. I had to find a place for my puppy during the day as my husbands military schedule is always changing and I'm gone 8 hours a day. This place is perfect for my baby, even with him being a little troublemaker. Ashlee's very patient and playful with my pup even when he's being a booger. I love that he's getting socialized with all the other dogs and playing with everyone. All the people that work in there play with him and he's exhausted when I pick him up. I would recommend this place to everyone and anyone that needs a place for they're dog to be when they need to do stuff! Thank you so much Ashlee. You're the best! You guys are awesome...thanks for facing the challenges of a puppy mill survivor dog! "Piper" loves you Ashlee even if she doesn't show it yet! Simply the best in Rapid City. If you want the best service and prices, look no further. You wont be disappointed. Ashley and Sandy are awesome individuals. So blessed to have my baby taken great care of by them. Best of luck in your new home!!!! Picaso misses you and so do I!!!! Mia and Gizmo loved Sandy �. Thank you so much for being so good to our kids! Sandy takes such wonderful care of our Mitzi and has since she had her very first grooming!! Bosco (the German Shepherd) and I love Ashlee. She's so patient with Bosco and treats him with the utmost care. Sandy did a marvelous job on my Great Pyrenees Indie!!!! We will be back!!! Hailey has never in 8 years had anyone groomer her other than Sandy. Hailey has a horrible scar from a dog attack and Sandy takes such good care of her. These ladies are great! We all love our pets and consider them family. I have taken my pets to 4 Paws for years. I consider 4 Paws a part of our extended family. I can't think of a better place to take my furry children. 5 stars and both thumbs up! Thank you 4 Paws for taking excellent care of my fur babies! I wouldn't take Nixy anywhere else. Their prices are very reasonable and my baby always races for the door when we go, she can't wait to go in! They always do a fantastic job and she looks so super cute by the time they're done with her. Thanks so much Sandy Thornburg. Sophie looks remarkable. Your were able to take us at the last minute. Your price was right and you were sweet to our baby. We visited the Rapid City area and were in need of a groomer for our dog. You stepped up and took her on the same day we called. You are a professional. Thanks so much. Thank you for being so accomadting with my schedule...Bella is always happy to see Ms. Sandy and is returned looking beautiful and smelling fresh! Vickie H. Of Edgemont, SD. Love the gals! They are caring and do excellent work!! My fur babies look great!! Excellent place!!! They are wonderful with all of our dogs and do a perfect job every time! Only place I will take them!! They are such wonderful people and they take such good care of my princess!!!!! I love that dogs are free roaming while here. No kennels! Awesome! They are the best!! Keeley always looks amazing, and the girls there are just the sweetest! I absolutely recommend to anyone with fur babies! Absolutely love this place. I am very picky about where my dogs go. I have taken them many places and this is hands down my favorite. They are so caring and sweet!! Did great on my dogs! All my kiddos came back so soft and fresh and they looked happy as can be. I will definitely be taking them there in the future! Excellent job! My dog was happy, clean, and in great shape when I picked him up! They do a great job. I will definitely be going back. 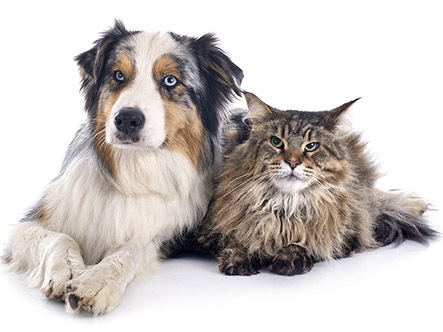 Dogs must be current on Rabies, Bordetella, and Distemper/Parvovirus. Cats must be current on Rabies, Feline Panleukopenia, and Feline Calicivirus.